Very good news today for the owners of Samsung Galaxy S3 as AT&T launched an update for the Android Jelly Bean 4.1.2. The update contains Samsung’s “Premium Suite” upgrade which will allow you to use multi-window. It is well known that the multi-window feature was really expected by the owners of Galaxy S3 which will have the possibility to use it and have a new experience with their devices. 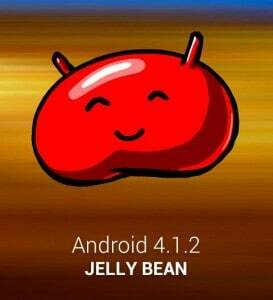 However, other US variants of Galaxy S3 are already using the Android 4.1.2, but it’s good to see that some users will enjoy the upgrade. So, those who will install the upgrade will experience the multi-window feature which will allow users to open more than one application at the same time. Those applications will be opened in two different widows which can be easily managed. Also, the NFC’s Auto Share Shot will be available and it will allow users to set the camera for quickly photo and video sharing by connecting them with NFC or S-Beam devices. The camera will be upgraded too with Paper artist and Best Face features. Some new apps from AT&T will also be installed. User will be able to use some new services from AT&T, The Locker, Driving Mode, Live TV, Family Map and also SmartWiFi. The upgrade will include features for the calendar, SD Card and S-Voice too. The upgrade will be launched today, but the users who will not install it until 7th of August will be notified about it. The update is available over the air. Other updates for the Galaxy S3 will be probably available in the future, but we have no information about them yet. Till then, enjoy this one.